On my vacation to visit my dad and his wife-they took us to this amazing restaurant where they had pretty much Cuban sandwiches and about two dozen presses (mostly Letterpresses) and some amazing vintage typewriters. 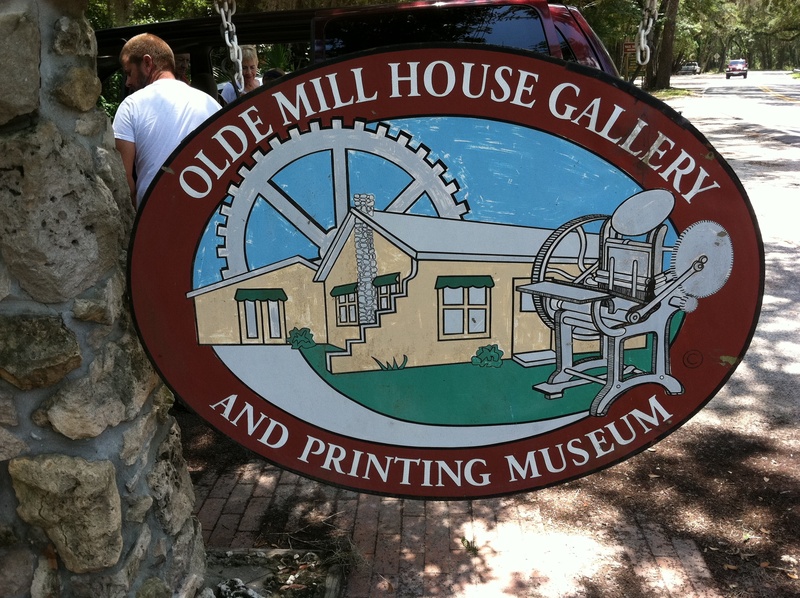 This sweet little joint was right across from the Sugar Cane mill in Old town Homosassa, Florida. I was amazed at the diversity of what went on in that little building. 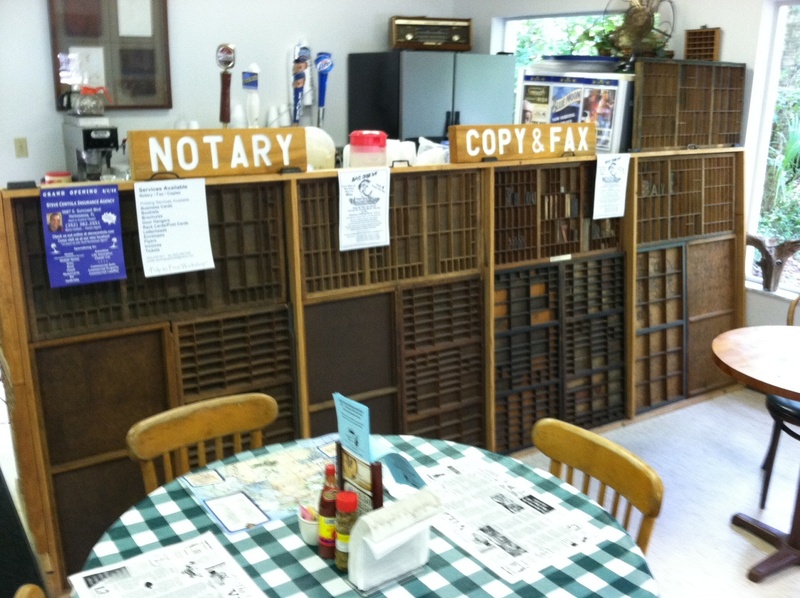 Apparently, the owner (who was not there) can fax, notarize and print documents, has a Blues and Barbeque fest every year, and this crazy printmaking establsihment all in a restaurant the size of maybe….1600 square feet. 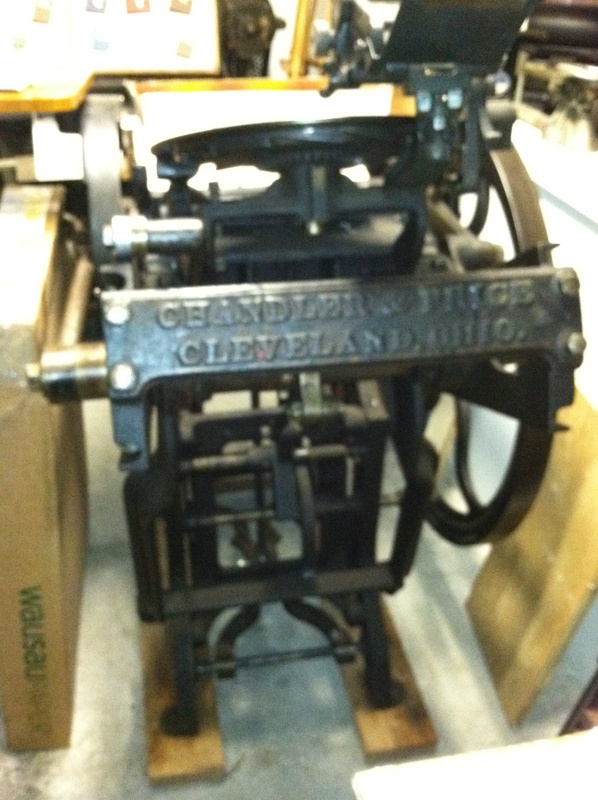 Among the notable presses, Heidelbergs, KLUGE’s and many varieties of Vandercooks, sat a sweet little Cleveland made Chandler and Price. Felt right back at home. This was a very cool enterprise to come upon in the middle of Florida’s nature coast. I have had a really nice time with family-swimming, relaxing, tanning and smelling the sun shine state’s ink-always making me think about how many great little print shops exists out there in the world.